Maid In West Sussex provide professional, high quality house cleaning services in Yapton. Our domestic cleaners based in Yapton are ready to clean for you on a regular or one-off basis. All our cleaners are dedicated, experienced and trustworthy. We fully background check all our cleaners and you can rest assured, we only employ reliable, honest, hardworking cleaners with a proven track record. Our Yapton Domestic Cleaning Services are available for homeowners, tenants, landlords, estate agents, letting agents and holiday home owners. Whether you need us for a one off clean or for a regular cleaning programme, we are always available to provide a service that meets all your requirements. Peace of Mind. We are proud to be members of the Federation of Master Cleaners. The Federation represents domestic and commercial cleaning companies throughout the UK and encourages high standards of quality and service. As members, we are bound by the federations code of conduct and have satisfied their membership criteria. We provide daily, weekly, fortnightly, monthly or a one off home cleaning service. We understand that everyone has there own cleaning preferences, certain ways that they want things done and certain things they do not want touched. We respect everyone’s home and wishes and because everyone is different we will tailor our cleaning routine to suit your instructions. So whatever your requirements we can handle it. You may want us for a One-off Clean or an After Party Clean or on a Regular Basis each week, but whatever you require, we are here to help. Give yourself a well deserved break, put your feet up and spend some quality time with your family or friends. Let us clean your home and do the chores that take up so much of your time. Once you’ve tried us you’ll wonder why you never used us before. All surfaces will be wiped down. Blinds, window ledges, light switches, skirting boards will be dusted. All shelves, lamps, furniture, mirrors, pictures, glass surfaces will be dusted. Material / Soft furnishing furniture will be vacuumed. Floors will be vacuumed or washed. Stairs will be vacuumed. Remove any cobwebs, empty any bins. Make sure all rooms are left fresh and tidy. Wash down all work surfaces / worktops. Wash up or put items in dishwasher. Wipe clean any chrome surfaces / stainless steel surfaces. Wipe clean appliances. (external only). Wipe clean cupboard doors. (external only). Floors will be vacuumed or washed. Make sure kitchen is left fresh and clean. Clean sink, shower and bath inside and out. Clean and disinfect toilet inside and out. Leave bathroom clean and fresh. The item below can be requested separately or included within your booked hours. Please ask for more details. Receive your shopping and put it away. Feed pets and water plants. Clean inside fridge and freezer. And much more, all you need to do, is ask. If its not on the list, just ask. We are more than happy to create a bespoke cleaning programme just for you. 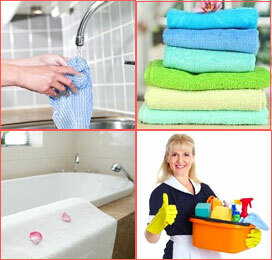 Maid In West Sussex provide house cleaning services throughout West Sussex. Some of the areas we service are listed below. If your area is not included below please call us.